Okay, I think I’ve died and gone to lipstick heaven! Oh who am I kidding, that happens me all the time, but today’s lipstick is as pretty close to perfect as you can get. 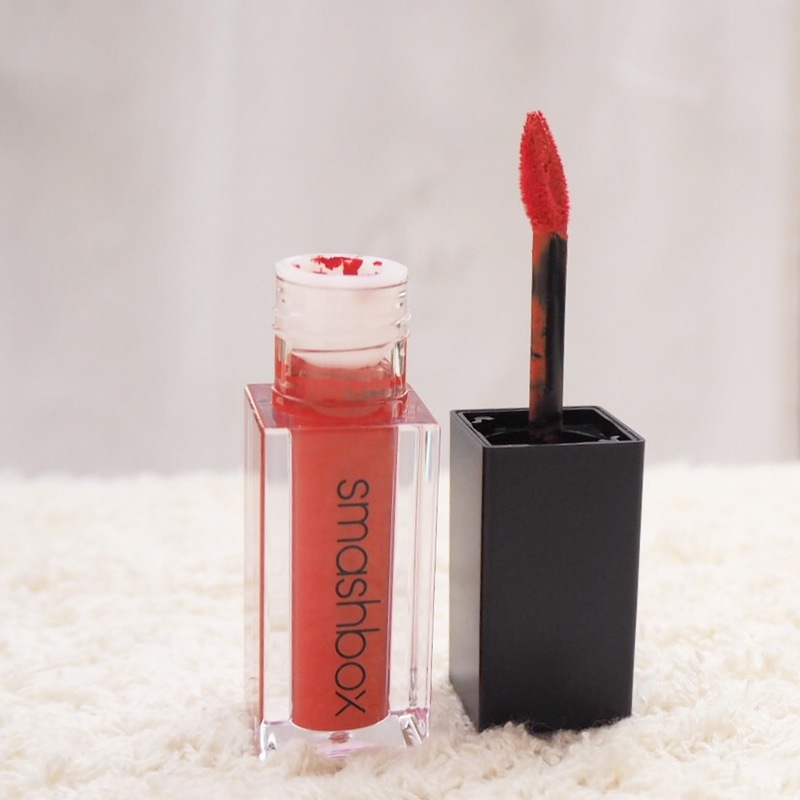 I’ve tried a lot of Smashbox products over the years, many of which I’ve loved, but for some reason had never tried one of their lipsticks until today. And now, I don’t know why I left it this long. 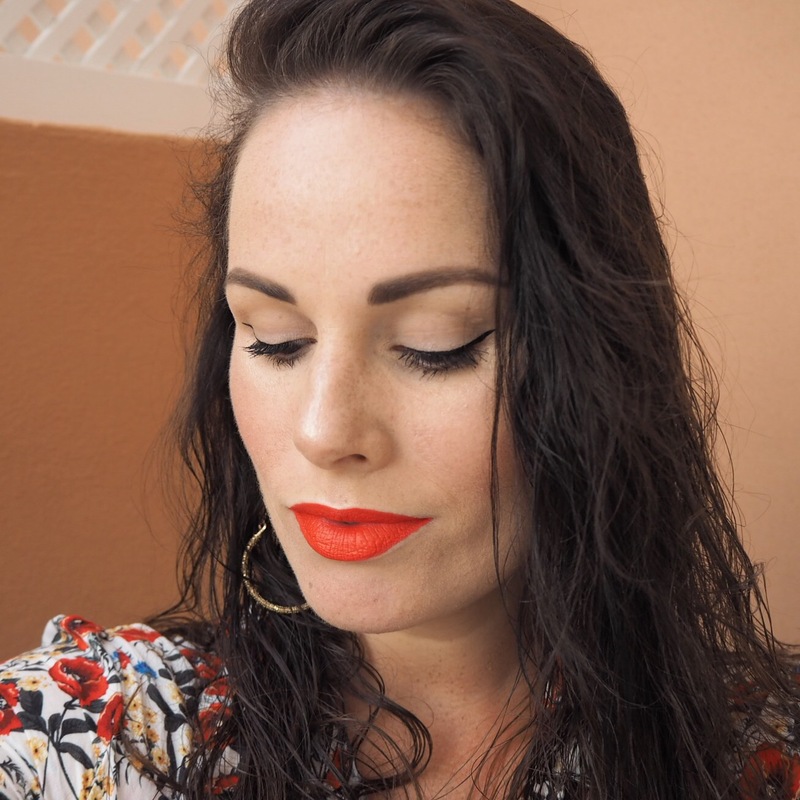 The formula of these liquid lippies is so creamy, yet when it dries in, gives a lovely matte finish to the lips with the most incredible lasting power. 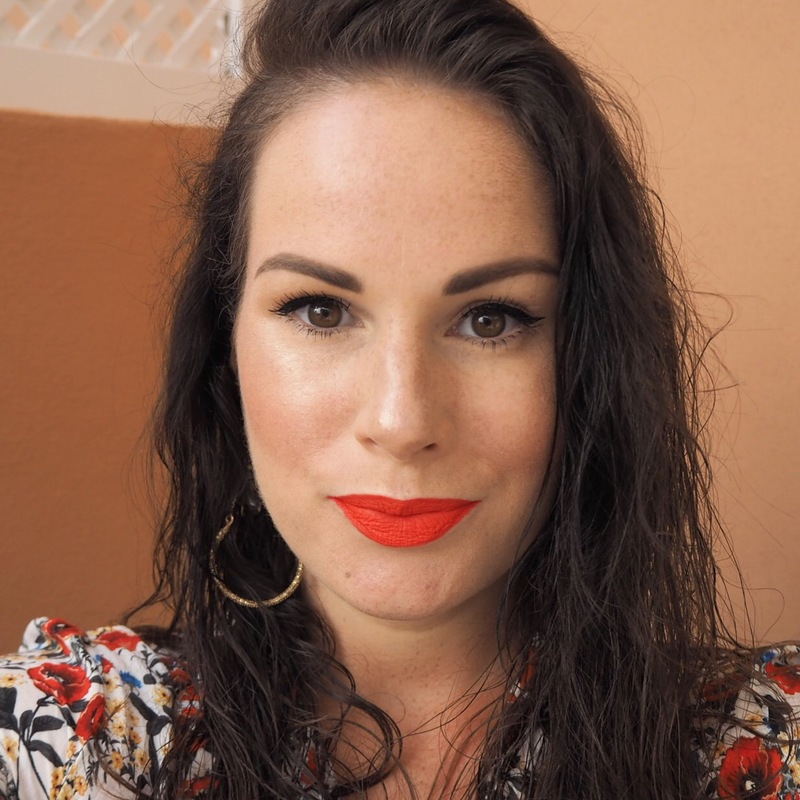 In fact, I think this might be one of the best lipsticks I’ve ever tried for lasting power that doesn’t crack or flake after a while. The shade is, let’s be honest, what dreams are made of! 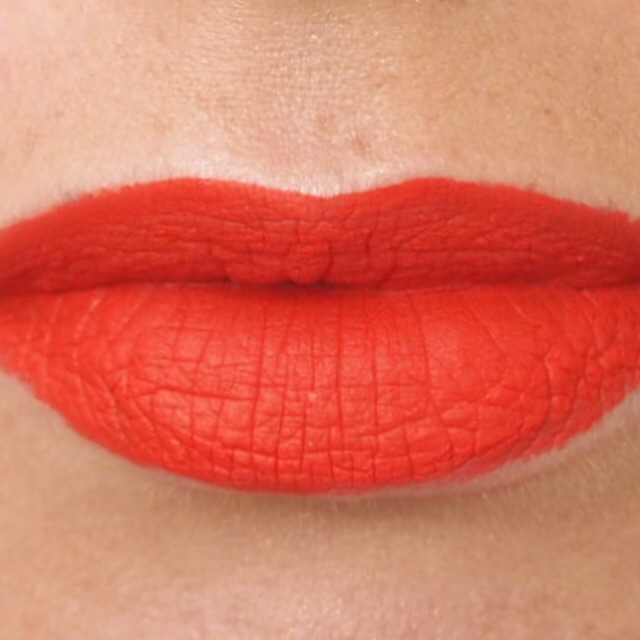 It is the perfect orange toned red, somewhere in between MAC’s Lady Danger and YSL’s Le Orange in colour. It is my favourite kind of shade and I really did not want to take it off at the end of the day. 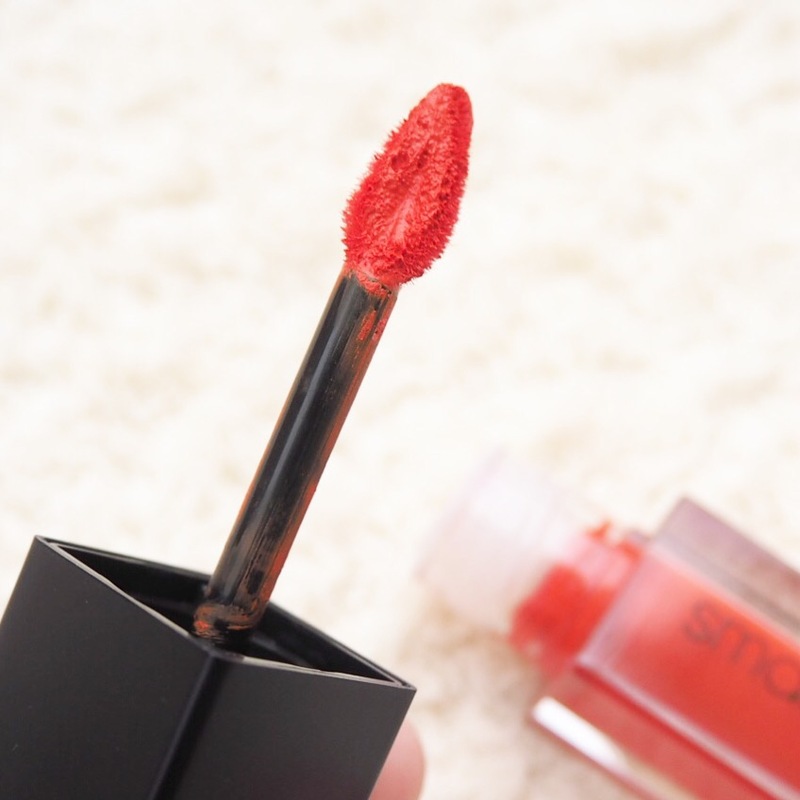 The applicator is also brilliant, it has a triangle brush tip, very similar to the YSL Lip Creams and Armani Lip Magnets, both of which I adore for that very reason, and this is no different. 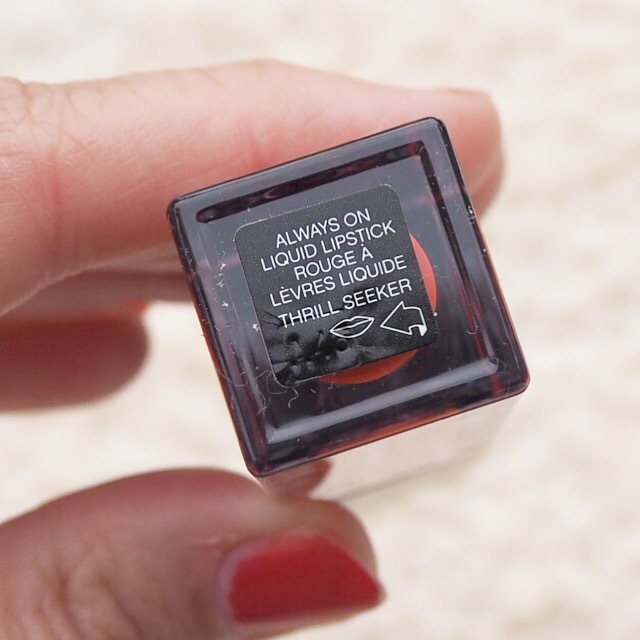 The pointed tip makes application so precise and easy, and gives the perfect full coverage to the lips when you apply. 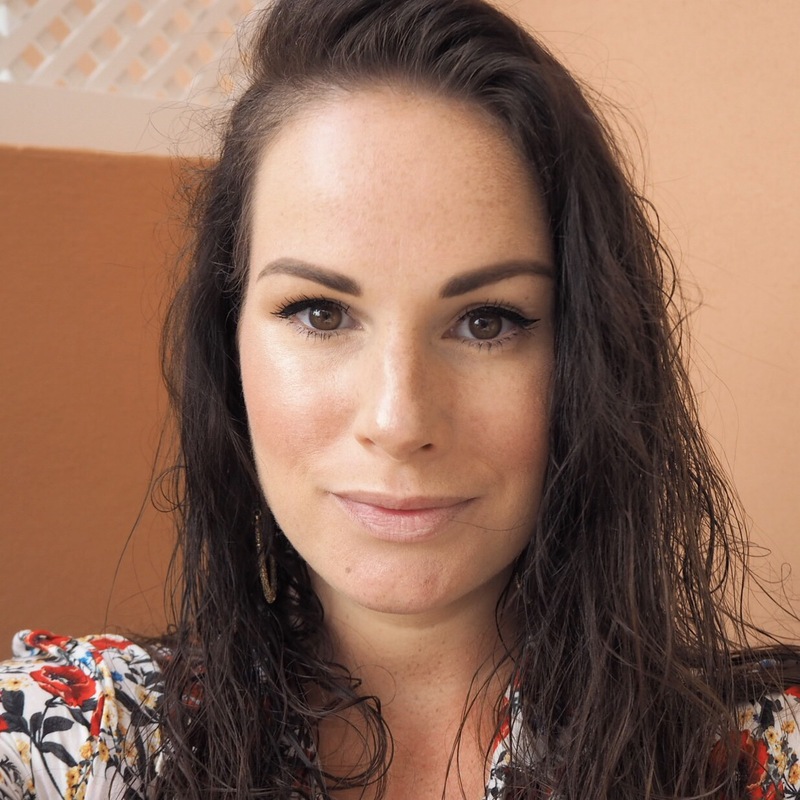 It is moisturising and smooth to wear, and I would happily wear it every day if I could! While there’s only 100 days left of my challenge (can you believe it?! ), and I still have a lot more lippies to try, I can’t wait to be able to wear this again. 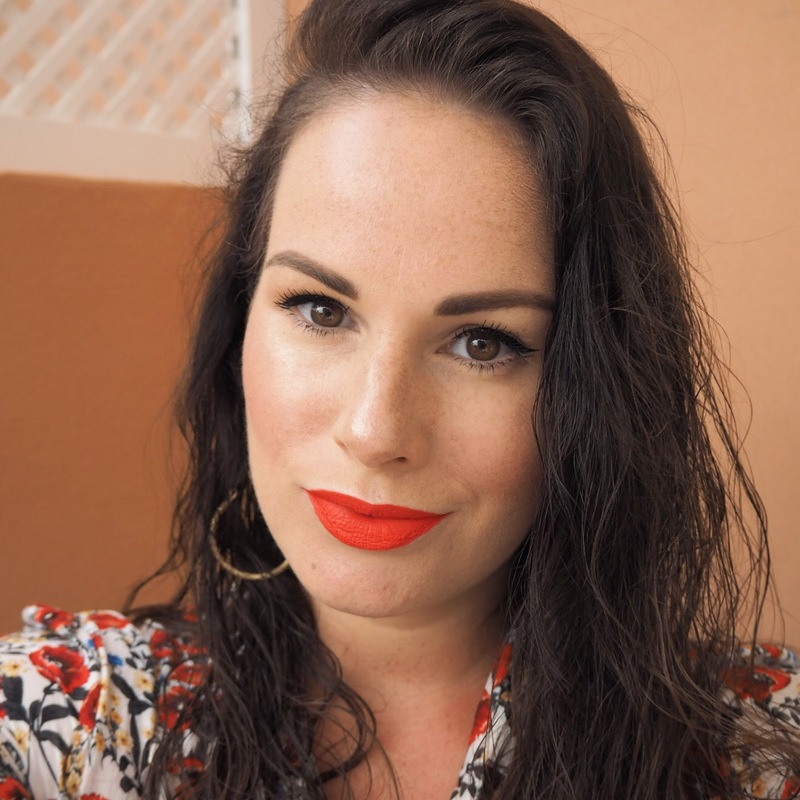 It was just lovely in every way and one I would definitely recommend if you like a liquid matte lip.